When should you order bees? If you want to keep bees, planning ahead is key to getting started. And that starts with knowing the answer to an important question: When should you order bees? Winter is wrapping up and bee season is right around the corner. If you are getting started with beekeeping (or maybe your bees did not survive the winter), you may be wondering when to order your bees. The answer is simple: right now. There are generally two options for ordering bees: packaged and nucleus colonies, or “nucs.” Packaged colonies are shoebox-sized boxes with a few pounds of bees sans infrastructure. Nucleus colonies, which are often more expensive, are comprised of a few frames filled with partially-developed colonies with some honey, baby bees and a laying queen. Packaged bees should be ordered as soon as possible. January, normally, is ideal. Stanton said you can order packaged bees from big bee breeders and supply companies down south like Mann Lake, Betterbee, Kelley, and Dadant; even stores like Tractor Supply Co. will ship packaged bees. While nucleus colonies should also be ordered promptly, there is a little more wiggle room in terms of timing. “Nucleus colonies usually come later anyhow,” Drummond said. “By the time beekeepers put them together and get them established the arrival date is much later. If you are ordering packaged bees, Stanton added, you will not be able to get a package after April, but nucleus colonies will sometimes deliver in May or June. Some nucleus colonies can be acquired during the summer when small beekeepers are looking to thin their colonies in order to prevent swarming. In general, however, nucleus colonies can be more difficult to obtain. “[Nucleus colonies] are even harder to get than packages in the sense that there’s less supply,” Stanton said. 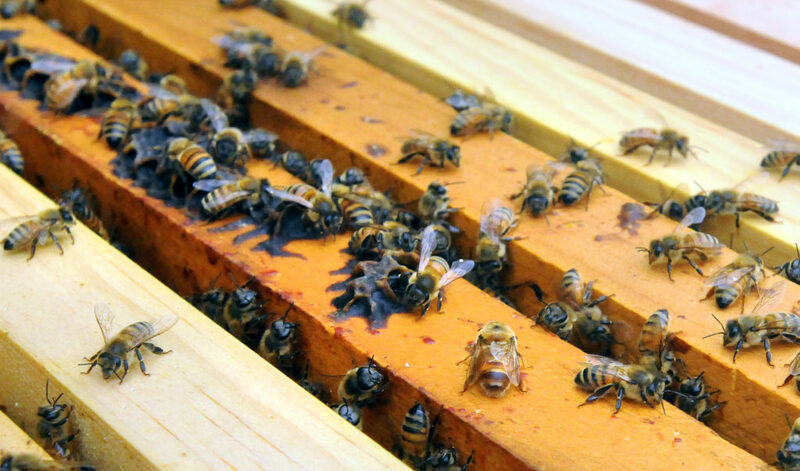 “They’re much harder to get because they’re local.” If the beekeeper you are buying from has a bad winter, Stanton said, they may also cancel your order. No matter what you decide to order, it is a good idea to join a local beekeeping club or association in order to learn which beekeepers supply healthy nucleus colonies and potentially get discounts on ordering bees. “Being a part of a bee club is a really good thing because quite often the bee clubs do a mass ordering and you can cheaper prices on the packaging,” Drummond said. This is especially valuable for new beekeepers; “If you’re not sure how to set them up, members of the bee club can help you,” Drummond added. Check with your state beekeepers association to find a chapter near you in order to get the best tips, tricks and deals on ordering bees.